Tracee Ellis Ross was photographed carrying Tyler Ellis to the amfAR Gala, at Hotel du Cap-Eden-Roc on May 25, 2017 in Cap d'Antibes, France. The star donned a monotone look paring her Tyler Ellis Lee Clutch in Red Velvet with an allred ensemble( $1395, www.tylerellis.com). 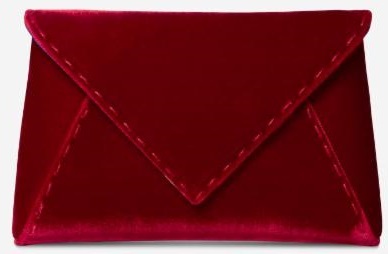 Here is a closer look at the velvet clutch Tracee Ellis Ross was holding.